BETHANY BRADY SPALDING likes to stir things up in the kitchen and in the community. She has founded programs to promote health and nutrition in theUSA, South Africa, and India. Bethany currently leads a regional coalition in Richmond, Virginia, to create a healthier food environment for at-risk children. She loves to cook and climb mountains with her husband, Andy, and their three adventurous girls. Let me tell you all the reasons why I really like this book! 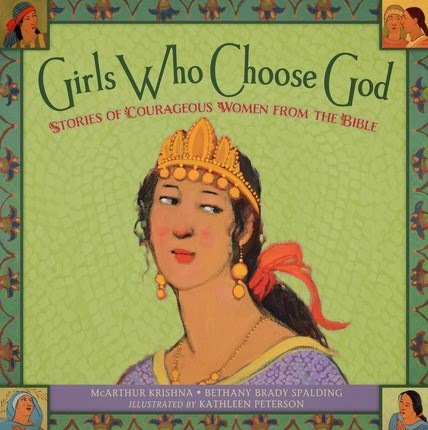 First, it has multiple stories about strong women from the Bible who were great examples! They chose to do the right thing whether or not it was difficult and whether or not the circumstances were great! Each one of these stories gives the scripture reference so you can look it up in the Bible yourself if you want! The summaries of the Bible stories are just the right length! Not too long so little ones lose interest! My favorite part of this book is the question that is asks the readers at the end of each story. It helps the parents and the kids really think about how they act and how they choose to do things in their lives! This book is great for multiple family home evening lessons or for any time when you want to teach your kids about doing good! I highly recommend it to any young family wanting to teach their children about making the choice to follow their Savior. 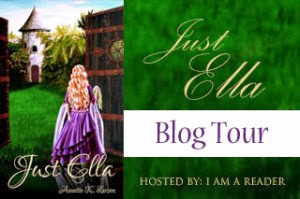 Spell Fire (Teen Wytche Saga #3) by Ariella Moon, Book Review, Blog Tour & Giveaway!!! 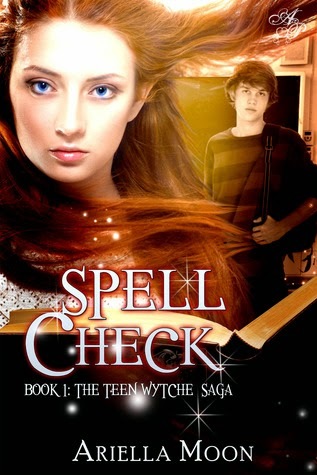 Spell Fire is book three in the Teen Wytche series and it took me by complete surprise! It wasn't as directly related to the first two books as I thought it would be, but the connections were there, just not as close as I thought they would be! Spell Fire is about Ainslee who developed OCD and anxiety ever since her best friend disappeared in middle school. 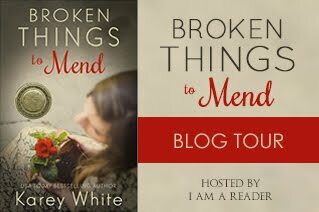 Her parents are on the brink of divorce and she feels like she cannot control anything in her life. When her parents decide to take a sudden second honeymoon, Ainslee finds herself thrust into the lives of her Aunt and Uncle whom she hasn't seen since she was three. The time spent with them turns out to mean more than she ever thought it would! What started out as being dumped for Christmas break turns into an unbelievable time for Ainslee! 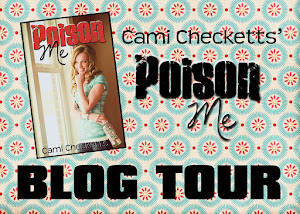 Take a journey with Ainslee as she battles herself: her emotions, her OCD, her lack of control! I was amazed at the accuracy with which Moon writes about a person with OCD. This is a fun and magical YA book that I recommend to any fantasy and paranormal readers! As a child, Aidan thought he was being rescued, not abducted. Now fifteen and homeless, he realizes he was taken because of his Gypsy blood. His kidnappers believe he’ll lead them to the Grey Grimoire, a valuable gypsy spell book. Madness. The book doesn’t even exist. 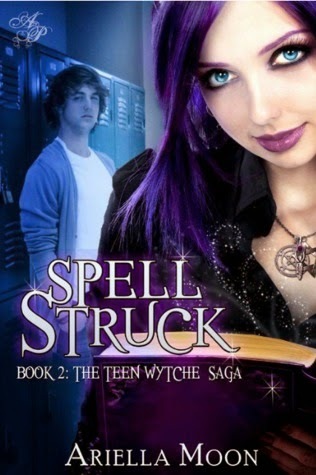 So Spell Struck is book two in the Teen Wytche Saga and I really enjoyed it! 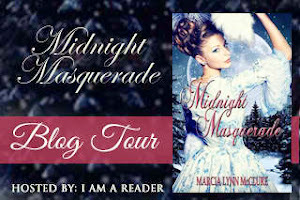 This book focuses on Salem from book one and I loved learning her story and her character! Aidan is the new guy in school and his story is tragic really, but we don't get to find out all of the details right away which kept me as the reader interested. His story was dynamic and powerful enough to keep my attention to the very last page. I highly recommend you read book one first or you will be missing important information from the story! Of course the 'teen wytche' is an integral part of the story and we find out even more about that! So if you are a fan of wicca then you will like this book! Most of all I loved the flow of this story, it was effortless and I was hooked to the end! I look forward to reading book three! 1. Evie’s best friend Parvani Hyde-Smith plans to cast a binding love spell on Jordan, Evie’s secret crush. 2. Parvani begs Evie to help her cast the spell. 3. Everything goes wrong when Parvani’s harmless-looking Teen Wytche paperback morphs into a brimstone-hissing grimoire. 4. Desperate to stop Parvani, Evie must risk hex hives and even befriend Salem, the school goth. 5. If magic is real, and Evie can’t stop Parvani, then she’ll lose Jordan. The wrongful magic will do more than break Evie’s heart. It will destroy them all. 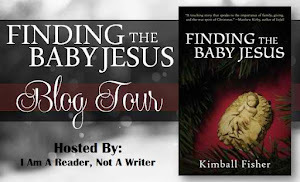 I have had my eye on this series for awhile, so I was beyond excited when I was able to join the blog tour for the upcoming third installment in the series! This first book Spell Check is a great YA book about a girl named Evie who lost her Dad while he was on a photography assignment in Afghanistan. Evie's best friend Parvani and their friend Zhu and Jordan ( both girls' crushes) round out the main characters. 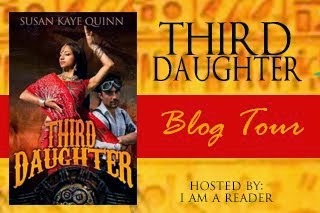 All of the fun and craziness begins when Parvani convinces Evie to help her cast a love spell. What could go wrong? Or maybe the question is what can go right? This fun YA novel about friendship, love and a little bit of magic is a great read that I think anyone will enjoy! You can pick up your own copy of Spell Check via Amazon. 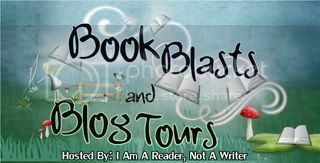 The Secret Bliss of Calliope Ipswich Book Blast and Giveaway!!! was perfect! 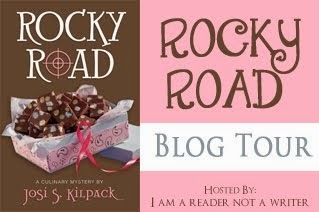 If you want some laughter and fun, plus romance, please read this book, you will be so happy you did! You can pick up your own copy of Every Girl Does It via Amazon. I've told you the beginning, and it nearly killed me. I told you how I met Jordan-- J-- about how I fell for her, even though I hadn't planned on it. Now you want to know about him? About Oliver Weston? The guy with the blackest heart of any man I've ever met? Fine, I'll tell you. It's what I'm paying you for, isn't it? Doesn't mean I have to like it. Doesn't mean I have to spill my guts. The middle isn't so hard to talk about. I'll tell you how I defended J's honor, how I went to jail for her, our time in the women's room at the jailhouse-- we'll get to that. I'll tell you what kind of man Oliver Weston really is... what sort of idiot I truly am. He used it to blackmail me into one of the worst decisions of my life. 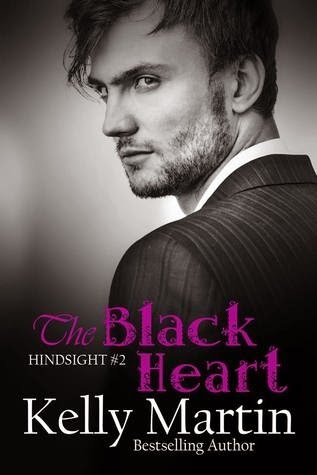 Let me start by saying that you need to read the first book in this series (Out of the Blue) or you will be completely lost when you start The Black Heart. The Black Heart picks up where Martin stopped at the end of the first book. Once again it grabbed my attention and held it throughout the novella. The mystery kept me reading until the last page and then Martin left me frustrated because the answers I seek are not to be found until the last installment of the series! Overall this is a great read, especially if you don't have a lot of time to read. I recommend buying the first and second and reading them back to back! This mystery novella hit the spot for me and was just what I needed sans the conclusion in book three! You want to know how it all began. How I fell for her? How I started to love...? Because every story has a beginning, doesn't it? Even mine. But we will get to that later. For now, I need to talk about Jordan-- and how she changed my life. 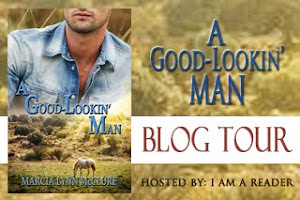 When I first started Out of the Blue I was kind of shocked because it is written from a male perspective and he is recounting memories for the reader. The idea really grabbed me because the majority of books are not written this way. Walker is the narrator and he tells us about how he met J and the mystery of the small town where they are attending college. This novella is magnetic and the question of "whodunnit" was so powerful that I found myself eagerly reading each page! If I had read Sherlock Holmes books, I would imagine that this may be something like them with a modern twist. Even though she was a minor character, I loved Mrs. Bainbridge and also the mystery of J's brother Joshua. Seriously the small town and the mystery charmed me from page one! Out of the Blue was hit for me! The only downfall is that the rest of the story will be found in books two and three! So hurry up and write Martin, write!!! 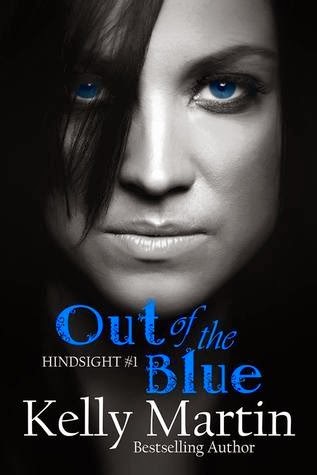 You can pick up your own copy of Out of the Blue via Amazon. Cassi is the head buyer for a prestigious art gallery in California. Jared is a buyer for an exclusive New York gallery. Sparks fly as the two come head to head in a bidding war for a hideous but very expensive Indian Buddha from the Kushan period. Each is determined to win the statue, but others also want the Buddha at any cost. Thugs, art forgers, the FBI, or Jared's beautiful and alluring boss who will end up with the statue? During a string of hair-raising exploits, Cassi and Jared are forced to develop a tentative friendship that deepens into romance. Will they survive long enough to see it through? FREE right now on AMAZON!! This is the first in a series of three books and I loved it! 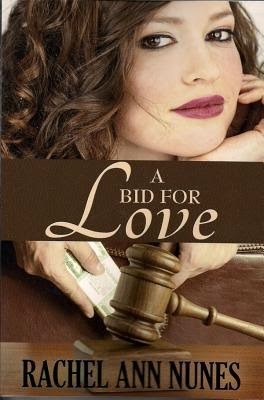 I read it years ago when it was titled, Love to the Highest Bidder, before Nunes reformatted and renamed it. 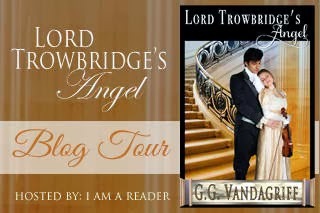 It is an awesome love story and I highly recommend it to any romance reader! Hurry up and snag a copy while it is still free! Happy Friday and Happy Reading!!! 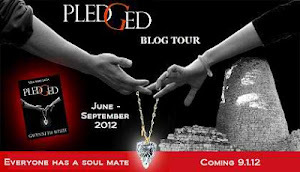 I am so excited that Comeaux decided to write a spin-off from her Edge Series! I loved that series and now we get to learn the story of the young pairs team that Emily and Sergei were coaching. Courtney's story has sparks flying in the romance department but still clean which this reader appreciates! 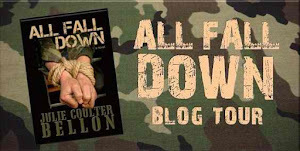 I found myself pulled into Courtney's story immediately and there was no turning back! Comeaux has a way of keeping the reader's attention throughout the entire book by her great storytelling skills! 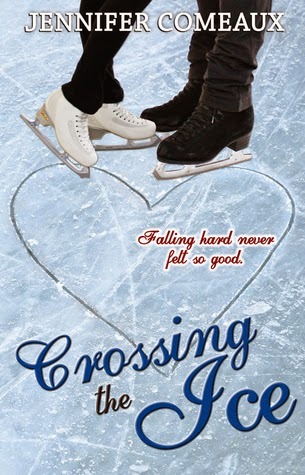 I couldn't put the book down, I had to know what happened with Courtney and her partner's dreams of the Olympics. Also high on the list was having to know about Courtney's love life! Would everything work out for them or would it be doomed from the beginning? There is magic in the air in Crossing the Ice! Comeaux made me fall in love with figure skating all over again! 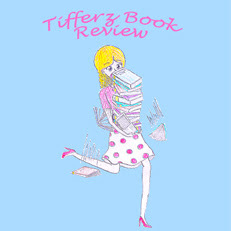 I am crossing my fingers and hoping there is another book in the future! 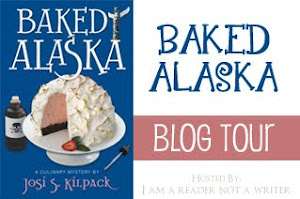 I am a new reader to Rallison and if all of her books are as unique and engaging as Son of War, Daughter of Chaos, then I will be a fan for life! This book is so different what most of what is out there right now. It is contemporary but has Egyptian myths and legends that Aislynn (the main character), finds out are real and she is now in the middle of it! Why can't her teenage life be normal? It is far from normal but definitely exciting and full of adventure and love, or what she thought was love. She has to learn who she can trust, who she is and where she belongs. I loved this book more than any other than I have read in a long time! There were so many different details that went into the story and so many emotions that Aislynn experienced. She had tough choices to make and it endeared her to me even more. If you want a great book full of adventure, myths and legends come to life, and family and love then this is the book for you! 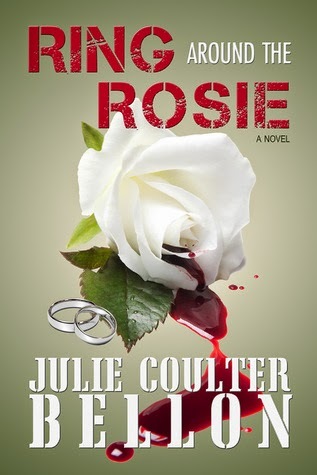 A page-turner to the very end, I am hoping beyond all hope that Rallison will write another after this one! AMAZING! Tempest is back and and so is the action! I thought the most action was seen in book two of the series, but Deebs holds nothing back in Tempest Revealed! The heat level of the romance adjusts to the highest setting as well while still remaining clean (thank you Deebs!). Once I began reading this third installment in the series, I seriously (no pun intended) could NOT put the book down! My eyes were burning with fatigue yet the magic Deebs weaves with the story is undeniable and I was under the spell! The action, suspense and dynamic of all involved culminates into one amazing mermaid tale!